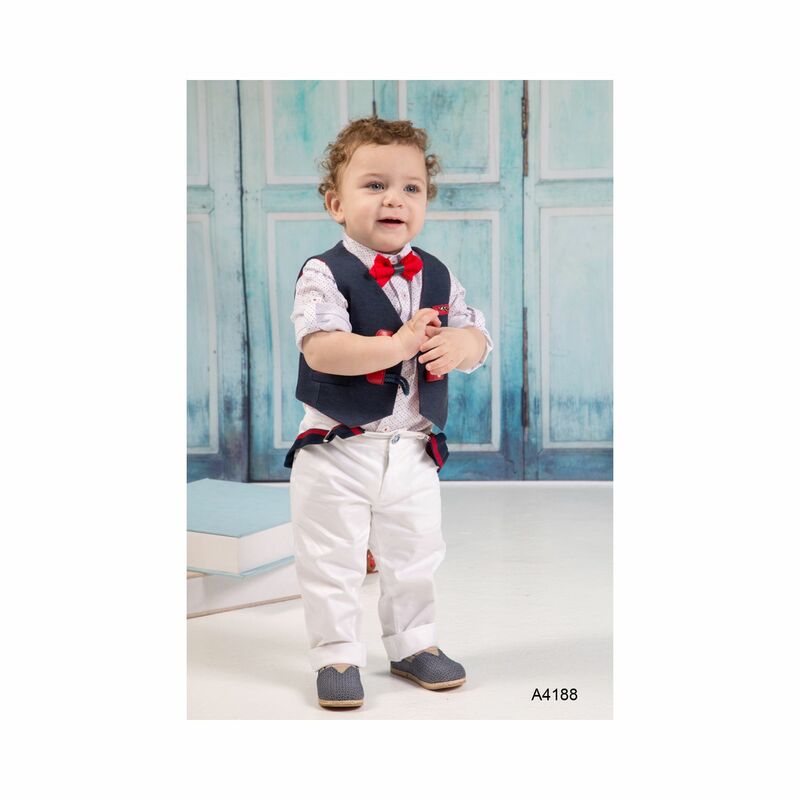 Elegant baptismal clothing for your little boy. Their vest is dark blue with reddish details in the Montgomery-type closure and in his pocket. The pants that accompany it are cotton in white or red. The shirt is also white with small beautiful patterns. 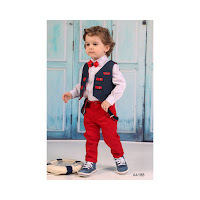 The sets decorate straps hanging from the outside in a modern style, and a red cloth bow tie. 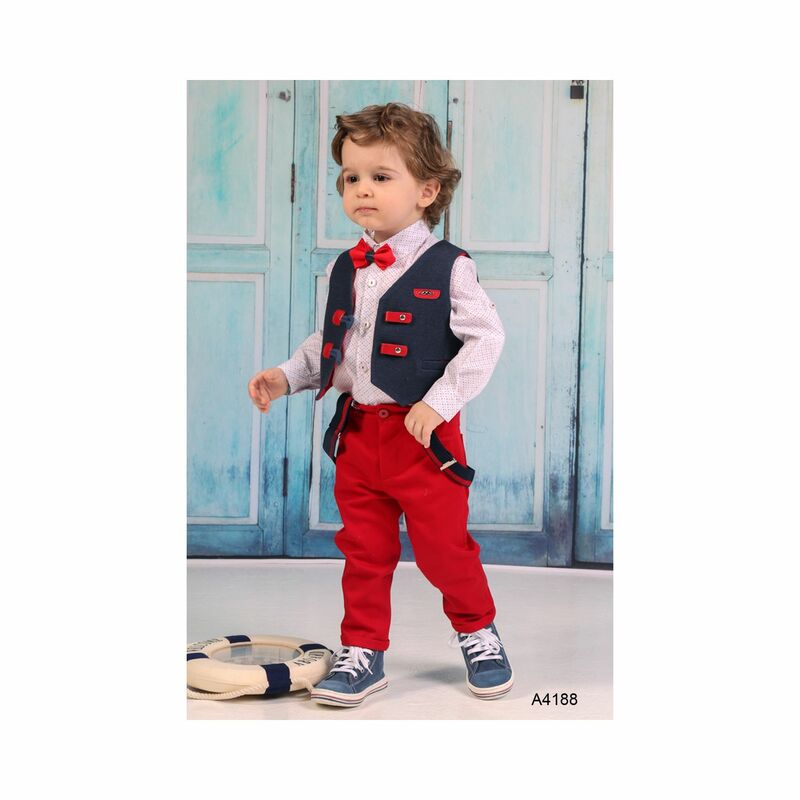 https://www.preciousandpretty.com/2018/07/elegant-christening-clothes-A4188.html Greek Wedding Favors|Orthodox Crowns|Stefana|Baptism Invitations Elegant christening clothes A4188 Baptismal clothes for boy, with dark blue vest and white or red pants. Product #: Greek Wedding Favors|Orthodox Crowns|Stefana|Baptism Invitations_6717443408688883608 5 stars out of 5 reviews.